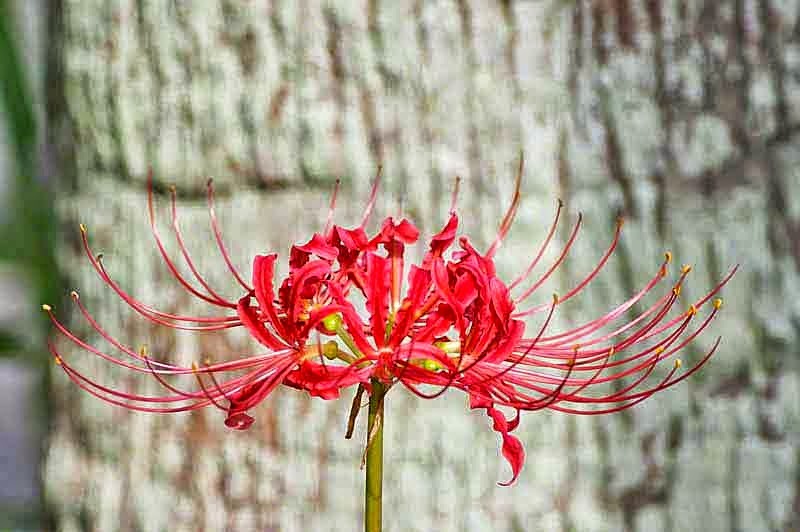 An autumn equinox flower, botanists call this plant Lycoris radiata. One source tells us if, you meet someone you will never see again, these flowers will pop up. A trail of them will sprout behind you ! Over at About.com they call this a Surprise Lily or, Naked Lady. Flower Pictures Organization shows a few other varieties of the plants and flowers. The bulbs, shouldn't be eaten (poisonous) according to NC State University. Learn more about the plants and, order them at Southern Living. There's even a gal named Spiderlily over on Facebook so, I liked her 'cuz she's an artist !